Donna and the Bears: Amazing! The wonders of nature surprise me frequently! 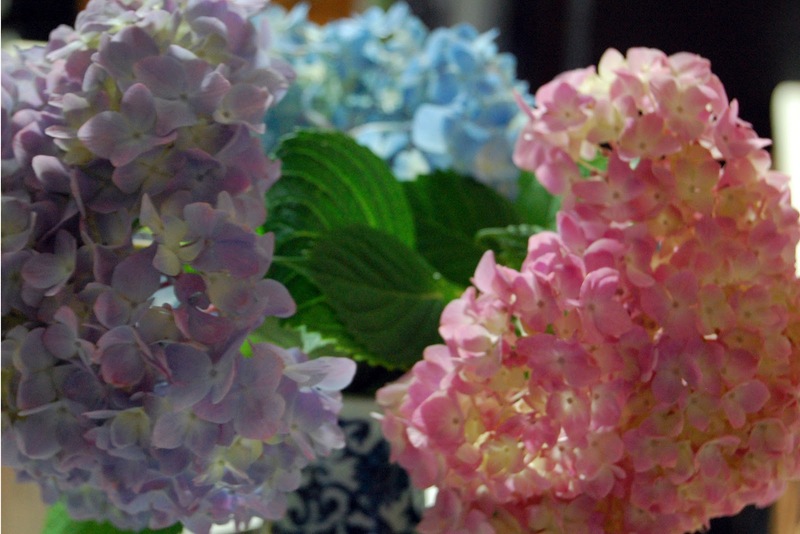 My dear neighbor, Tania, shared a bouquet from her hydrangea bush - yes!!! all three colors of blossoms are from the same bush!!! They are so lovely! as is Tania for sharing the beauty! Isn't nature magical. How beautiful is that bunch of blooms. Tell your neighbour, I loved them as well. I agree, Kay! I'll be sure to tell Tania! Thanks, my dear!! What a precious gift! Was belle inspired by those beautiful flower color range? Thanks, Susana! She wasn't, but doesn't she look as though she could have been! Bella was born when it was still pretty cold here. They are some of my favorite colors to be sure. Are they yours?? Absolutely, they 're my fav in my closet, just looking forwards to make bears out of them. Do send me a photo of those bears - or a link where I can see them Susana! From Russia - I LOVE it! Beary Fairy gets her wings!